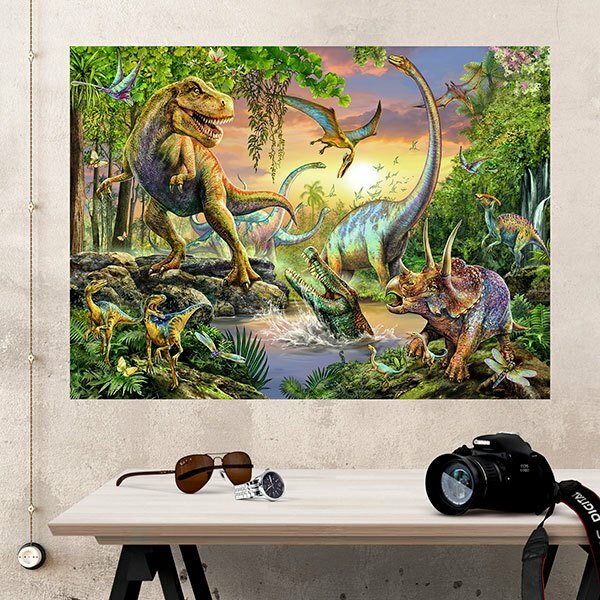 Adhesive vinyl poster Dinosaurs. 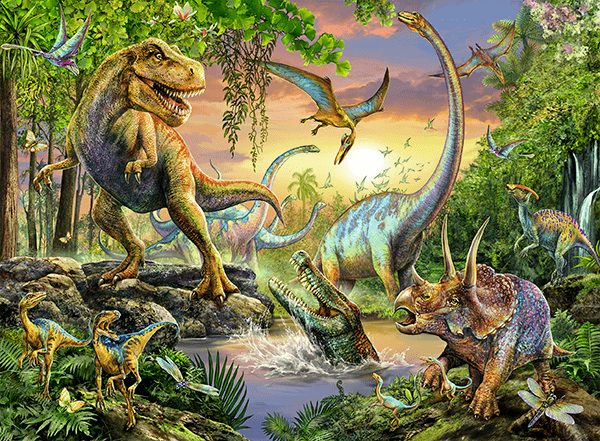 Original composition of the creatures that inhabited the planet Earth in the Mesozoic era, in full struggle. 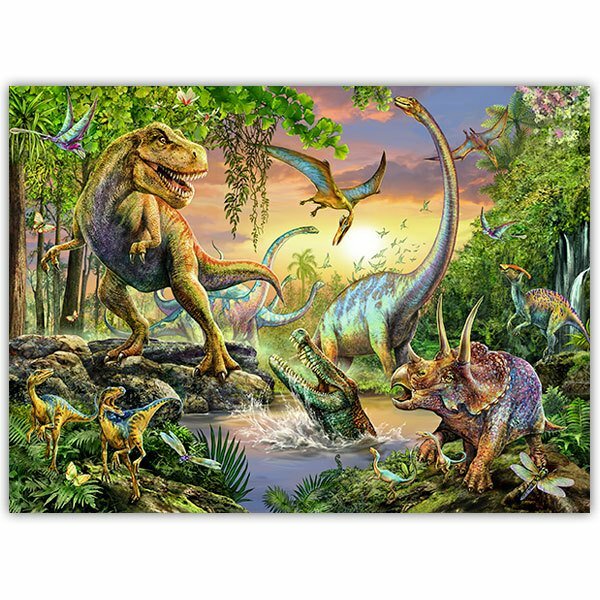 The Tyrannosaurus Rex is intimidated by a prehistoric crocodile, in the presence of a Brachiosaurus, a Triceratops or a Parasaurolophus. Size: 6 x 43 cm. 15.75 x 11.42 in. 19.69 x 14.57 in. 23.62 x 17.32 in. 27.56 x 20.08 in. 31.50 x 23.23 in. 35.43 x 25.98 in. 39.37 x 28.74 in. 43.31 x 31.89 in. 47.24 x 34.65 in. 51.18 x 37.80 in. 55.12 x 40.55 in. 59.06 x 43.31 in.